Smart enough. Pretty enough. Talented enough. Enough time, enough money, enough ______. You fill in the blank. So many voices whisper “You’re not good enough,” or “You don’t have enough.” Maybe scream is a better word, really. The explosion of social media has only made these voices louder. Scroll through your Facebook feed and you’re almost certain to see at least one post that makes you wonder if you’re enough. Even beautiful posts full of encouragement and wisdom can cause us to stumble, comparing who and where we are to what we think is the “should”. There is a growing number of other voices though, quietly and strongly affirming us that we are enough. (One of my favorite voices is that of Holley Gerth. I love her book “You’re Already Amazing”, for one great resource on who we are in Christ.) They call us to stop comparing, stop striving, start believing. Loved, just as we are. “…but God shows his love for us in that while we were still sinners, Christ died for us.” (Romans 5:8) While we were yet sinners: sin = missing the mark = not perfect = not enough. Yet still he loved us! I tend to side with the later group, the already-enough-camp. Because it’s true: we are enough and we have enough. God has made us specifically as we are; he doesn’t make mistakes. We don’t need to do anything more to earn his love. It cannot be earned! It is given freely and unconditionally. Even before we confess Jesus as Lord, God loves us! 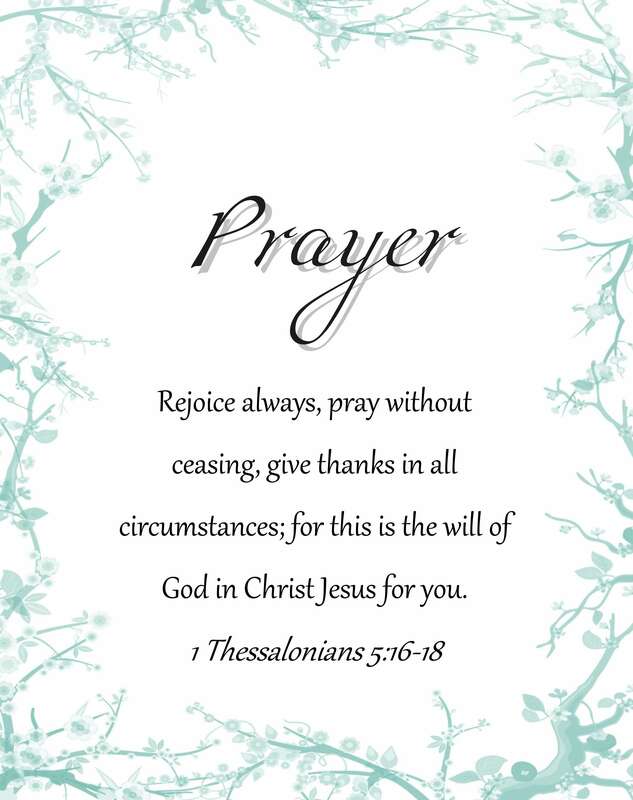 Additionally, he has equipped us with everything we need to do whatever he leads us to do. There’s a phrase that goes something like “God doesn’t call the equipped; he equips the called.” I love this, because it is so true. Check out Isaiah 41:10; 1 Corinthians 1:26-29; Hebrews 13:20-21; Philippians 2:13; Philippians 4:13. Most definitely we are enough in Christ. His death makes us holy; when God looks at us, he sees us blameless. We are not perfect, obviously; we are continually learning Christ-likeness. So in that sense, we are not enough and never will be this side of heaven. But when we believe, when we accept the gift of God in the death and resurrection of our Lord Jesus Christ, we are washed clean. This is the very nature of “being saved”! God, himself perfect, cannot dwell with sin, yet he made us to dwell with him. So he sent his Son (John 3:16) to make us perfect. 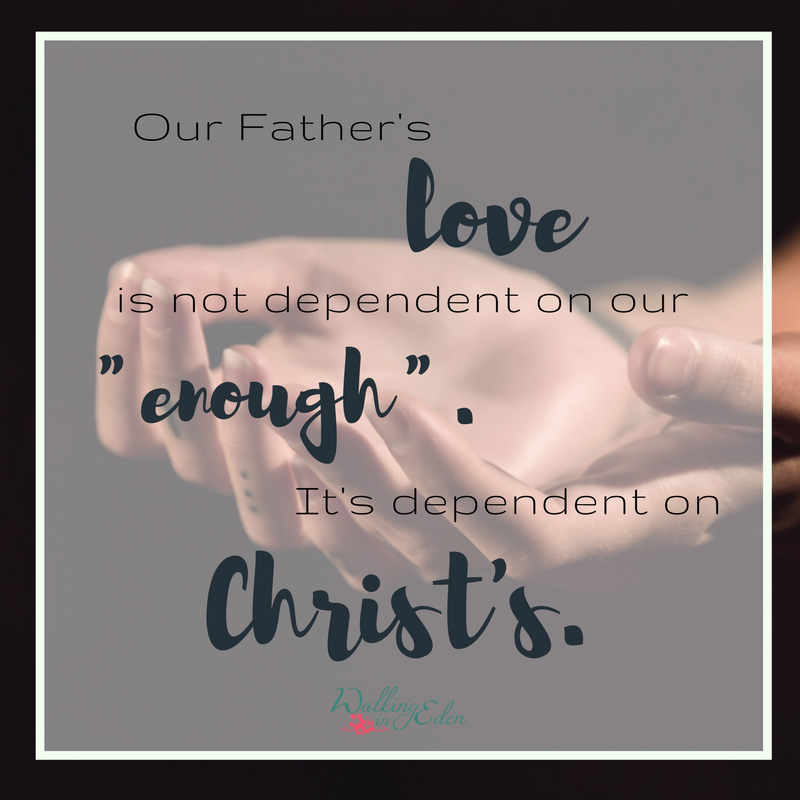 Our Father’s love and our redemption are not dependent on our “enough”. They’re dependent on Christ’s. So I think we are both enough… and not. We are wonderfully made, fully known, and divinely equipped. And yet we are always learning, in desperate need of refining, and completely dependent on God. We cannot get what we lack on our own. It all comes from God. But here is the most beautiful truth in the world: it is already ours! The cost was paid two thousand years ago on a brutal Roman cross. All we have to do is ask.